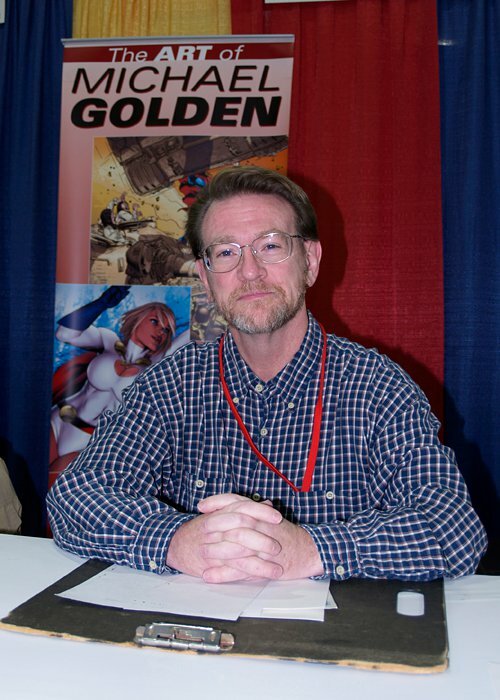 Continuing our adventures at the Malta Comic Con, here is the recent interview posted on the one and only, Michael Golden! WC: Did you always want to become a comic artist? MG: Where I grew up, in the American West, that was not a job that even came on my radar. I grew up on a ranch, in the middle of nowhere. The nearest city was hours away. The day consisted, at an early age, of getting up with sun, doing chores, and going to bed with the sun. It was a working ranch. My first experience with comic books were TinTin comics that my mother would buy for me from time to time when we went into town. Something about that stuck in my brain, I suppose, and I drew like a lot of kids draw. Most just don't stick with it. Later as a teen, travelling around the US on my own, I made ends meet by painting murals on vans, etc. 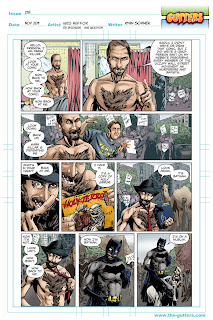 Again, I never thought in terms of being a comic book artist. It never dawned on me. Until one day some friends of mine suggested that it might be a career path for me, and offered to buy a ticket for me to go to New York. I went. And within a few days had landed my first jobs in the business. WC: How would you describe your style? MG: That's a hard thing to describe. If an artist is good, and doesn't just mimic some other artist that came before him, there should be something unique and un-definable about his work that makes him stand out. For me, when I first started, I was asked a lot to imitate Kirby on projects. That didn't last long-maybe a year. I didn't like trying to "do" someone else's style. I feel that over the years, I've developed something uniquely my own that is identifiable as mine. And I'm still evolving. Be still and get stagnant. And by the way, I don't really consider myself an artist so much as I do a storyteller. 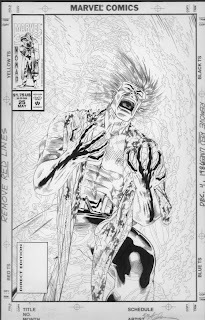 WC: Over the year's you've worked on various characters and have drawn countless comic book covers ranging from Spawn, Nightwing, Micronauts, Spiderman, Iron Man and Hulk. Which characters or series did you enjoy working on the most and why? MG: I'm asked that a lot, but honestly I have no favourites. If the check didn't bounce, I liked the job. We work in a commercial art industry and that is what hangs up a lot of artists in the industry. They forget that they are working for clients, who have specific needs, and want things delivered a certain way. This is not about the artist's ego. It's about doing THE JOB. WC: Apart from being a comic artist, you are also a writer and have been involved in editing and art direction with the big Publishing houses. How do these jobs differ and do you have any particular preference? MG: They differ a great deal. 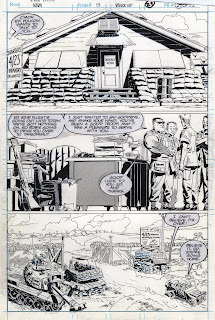 As an editor at DC Comics and Senior Art Director at Marvel, I found that I was not involved in the creative process as much as I would like to have been. If given free reign, I would done both of those jobs differently. That being said, it did give me the opportunity to sit on the other side of the desk and learn that end of the business. Never say never. I might do it again. WC: You have also been involved with a number of movie productions. What can you tell us about this experience? MG: Once again, this is a job, albeit a different job than drawing a comic book. You are still working with a story and a client and the specific needs of that client. Just a different medium. I really prefer working on my own ideas and on animation projects, on which I have more a say and freedom. And I hope to be doing more of that in the future. I have also just heard recently that the project I co-created with writer Larry Hama, Bucky O'Hare, will be made into an animated feature soon. WC: You've worked on countless of comic covers, do you normally have complete freedom with regards to the content and how challenging is it? MG: Yes. I am fortunate that I am considered one of those creators in the industry who is also a designer. Most editors know that if they give me the assignment, I'm going to give them a layout and finished cover that has a certain level of professionalism. One thing I don't like is for an editor to say "Okay, give me an iconic cover," and that's it. 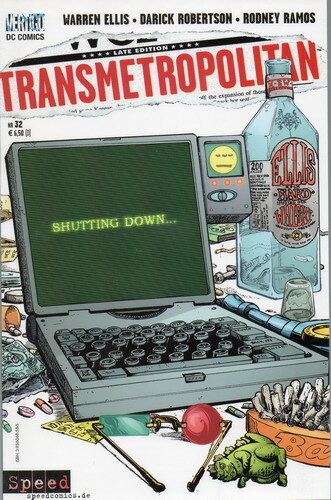 I do like covers to be story specific. To me, the cover should draw in the reader. Make them want to pick up that comic and buy it. You have a lot of competition on the shelves. You must present the face on the product and make it great. WC: One of your closest collaborators is Renee Witterstaetter the brains behind Eva Ink. What can you tell us about your past and future collaborations? WC: You are currently involved in a series of 1-2 days story telling workshops. Can you tell us more on this? How important are these and similar workshops for aspiring comic creators? MG: I have been giving the one hour course at numerous conventions around the world this past year or so, including stops in Gijon, Spain, China and all stops in the US. The longer classes are in development. These classes are designed for anyone interested in storyteller. Period. No matter if it is for comics, movies, animation, games...the rules of storytelling are the same. WC: This is going to be your first appearance at the Malta Comic Convention. When did you hear about this, and what attracted you to it? MG: I am a great lover of history, especially military history, and Malta of course has a history that rivals any place else in the world, being in such a strategic position, and coveted by all sides. I'm talking the Knights of St. John to World War II and everything else before, after and in between. So, I have known of Malta my whole life. On the convention, I did not hear about it until last year, when Renee attended the show and she told me what an amazing place and event she'd just experienced. I also saw her pictures, and when the opportunity came to attend this year, we couldn't pass it up. WC: Do you have any other projects in the pipeline? MG: Oh sure. 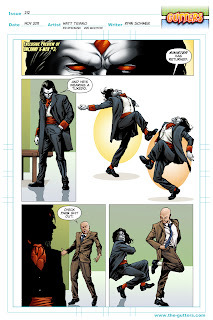 My own creator owned properties are currently in development. 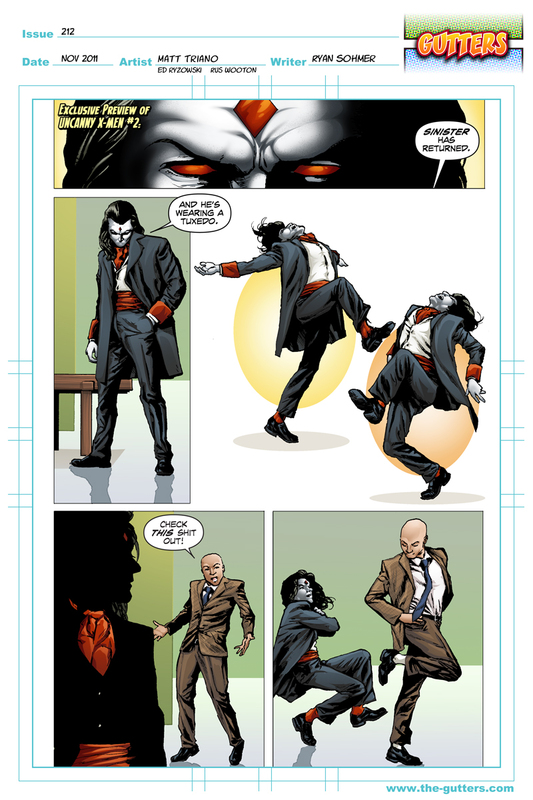 I am also working on a few projects for IDW and DC Comics. And I am the regular cover artist on "Spawn" right now as well, among much more. I have a new sketchbook out entitled "MORE Heroes and Villains," which will be available at the convention, as well as prints and other books. WC: Would you like to add anything else? MG: Thanks for the invite. And if any of you are interested, you can join my facebook page, and also join the Eva Ink Artist Group page. Just google it, and you will find it, and thus receive all the news and updates you'll ever need. WC: You're not just a creator. You're also a publisher, editor, writer, agent and producer! For someone who is as ambitious as you, what do you think, are the characteristics needed to break and work into such an industry? Renee: I think blind luck. Luck has a lot to do with any endeavour. But I know I'm over simplifying things when I say that. You do need luck. But you also need to believe in yourself and being willing to move forward with some sort of blind faith. I don't know if you are familiar with the Tarot Deck. I've studied many for the art. And the "Fool" card most often than not shows a blindfolded man, stepping off the edge of a cliff. You may think that the card is a bad omen, but it's not. What it really represents is stepping forward with that "blind faith." I never once think to myself that something is impossible. I come up with an idea, and my first thought is "Okay, how can I make this happen." When I'm at the top of my game and true to myself, often times, it does happen. It's not a skill. It's something in all of us. I guess if I'm saying anything is that the main skill you need is to condition yourself to take chances and practice being unafraid. When a door opens, walk through it. You don't know what will happen. But guess what, if you "don't," then "nothing will." WC: Some feel the comic industry is male-dominated but when it comes to noticeable females in the industry your name stands out. How hard was it to establish yourself in the industry? RW: That's a good question, and of course the industry is much different now in so many ways than when I started, and there are so many more opportunities. Frankly, when I landed my first job at DC Comics around 1987, there were not many women in the field, as you say. But I think one of the things that helped me the most was that I was completely oblivious to that fact. Didn't event think about it. I grew up a tomboy, did more fishing than dancing, learned to shoot a gun when I was 10, etc. etc. so stepping into a "man's world," or being intimidated by that was not something that even crossed my mind as a concern. I found out what the job was, and said "Hey, I can do that." My background in college was journalism, and my first job after college was doing the public relations and guest relations for a convention called The Dallas Fantasy Faire. From there, a door opened to that job at DC Comics, then Marvel, then Topps, then to film production, to being an artist agent and publisher. That's what I mean by watching for the doors. One thing leads to another. And I also found that my journalistic background aided me as a comic book editor, and conversely, the stints as a comic book editor aided me in my film production career. The tasks of organizing story elements were very much the same. 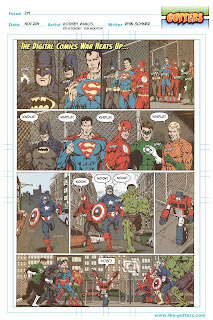 WC: You've worked as a colourist on hundreds of comics featuring classic characters such as Captain America and Superman. Do you still like colouring? Would you consider doing it again? RW: I love colouring, although I sort of just fell into it. When I was an assistant editor at Marvel, the pay was pretty low for having to live in New York City. Around 18K, and all the assistants on staff were encouraged to do freelance. I got a set of Dr. Martin's dyes and started colouring away. My friend, Spidey editor Jim Salicrup threw a lot of work my way, and I also wrote a lot of letter columns for $50 a shot for editors like Bobbie Chase. At that time, I think my friend Marie Javins and I were called to colour a lot of stories, some overnight. I remember many nights when I'd work at the office 9-5, then go home and colour from 5pm to 7 am before going to work again. You did what you had to do. We coloured by hand. Now colouring is done digitally. I have not started digitally colouring. I've just been too busy with my writing, editing, publishing, producing, etc. I did however, colour my recent children's book, "Kerry and the Scary Things." It's meant to have a crayon like look, so hand colouring worked well with that. I'll have some of these for sale at the convention. I first started colouring it while in Malta last year in fact. WC: As a story boarder you've worked on famous movies such as Rush Hour II and Drunken Master II. What is it that made you venture into such an aspect of the entertainment industry? RW: I wasn't a story boarder. I've worked production on numerous movies, commercials and music videos such as "Rush Hour 2," "Red Dragon," "To Ease the Lose," and music videos for Madonna, Seal, Usher, etc. My various jobs have included Inventory Coordinator, Production Assistant, First Team, Production Coordinator... whatever the job called for at any given time. Working on a crew, it's funny, it's like a little living entity, and teaming ant colony that comes together for 3 to 6 months, working for a common goal, and then disperses when it's over. If you are part of a good colony, you really feel a sense of sadness when a production is over. WC: You're an avid Blogger and Facebook user. Do you think that social media communication is an asset for someone like yourself? Why? WC: You've recently made a new breakthrough in your life by writing a children's book; 'Kerry and the Scary Things'. What prompted you to work on such a project? RW: I have three new children's books in the pipeline now! 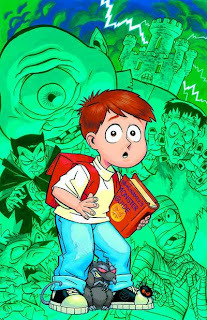 On "Kerry and the Scary Things," the original story and concept was created years ago, with character designs by artist Keith Wilson. The idea of a little boy that loved monsters and puts together a monster fighting back pack in case he ever finds any... was a story we've wanted to tell for a long time. We were lucky enough to make it happen last year. I plan to write more. In fact, "Kerry and the Dreadful Dragon," which was also plotted all those years ago, is now in development. WC: Your company 'Eva Ink' has various branches and must keep you very busy throughout the year. What is your biggest satisfaction related to 'Eva Ink'? 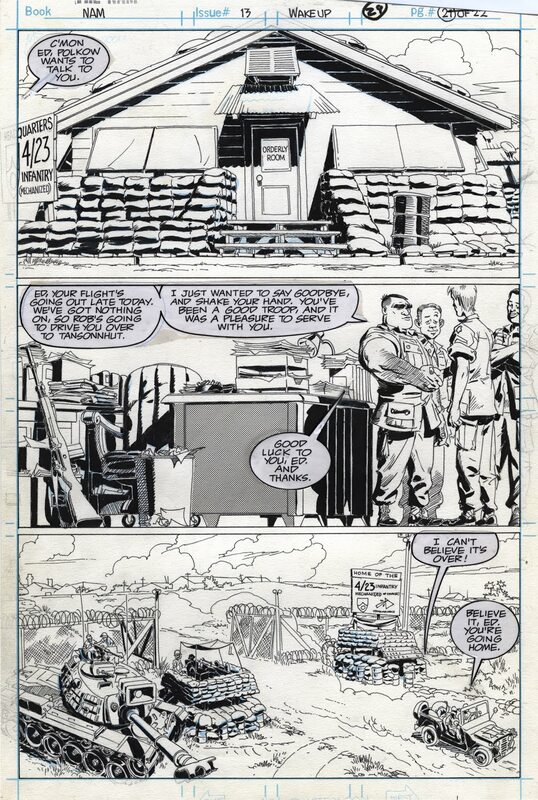 RW: Doing projects I love, such as my recent book "Nick Cardy: The Artist at War." This is a story of one man's journey through World War 2 as told through sketches he did while in the war. Very powerful. It meant a lot to me to get this book out for Nick. I'll also have this book at the Malta show. WC: One of your closest friends and collaborators is creator Michael Golden. What can you tell us about your past and future collaborations? RW: Michael is amazing. A true genius in the comics field and in any creative field. He is an amazing storyteller, designer, artist, you name it. And a nice guy. We co-created the comic series "Spartan X" together and are working on some joint stories and book right now for this next year. I have nothing admiration for Michael's creative abilities. Which is obvious since when I was at Marvel and Topps, I hired him for any projects as he could possibly do. WC: This is the second time you're attending the Malta Comic Convention. What attracted you to this convention? What makes it different to the other conventions you visit throughout the year? RW: The first time I attended, last year, I wanted to come because I'd never been there before. I like seeing new places. I also love ancient sites, and Malta has sites that are 5,000 BC. That's truly amazing. So in addition to just meeting new fans and having new experiences, seeing Malta itself was a big factor. Now, for my second trip, what made me want to come back was just the warmth and generosity of the people that I met last year, who really made me feel at home. I'm glad to have the opportunity to take part in the event again and see it grow. WC: What projects do you have in the pipeline and what can you tell us about them? RW: So many.... a new Joe Jusko sketchbook to follow up his book from last year, "Joe Jusko: Savage Beauty," a new Mark Texeira sketchbook, a new Michael Golden sketchbook, a new Nick Cardy book, new children's books, some limited edition giclees, and also two new additions to the DVD series on creators to go with the ones already done on Golden, Jusko, Bill Sienkiewcz, Matt Wagner and George Perez. I'll also be promoting Michael's intellectual projects for animation etc. WC: Is there anything else you would like to add? RW: Thanks so much for the great questions. And again, look for me on facebook and follow my blog. That's the best way to keep updated on Eva Ink Artist Group and Eva Ink Publishing. I love a good parody! I guess that's why I had such fun when I was the editor of "What The?!" at Marvel Comics for all those years. Sadly, we never were able to tackle any political issues very much or anything too controversial for that matter. But hey, we had a blast. Other sources are not hobbled in that way. Be sure to check out www.The-Gutters.com, as they explore issues in our industry, including the Digital revolution, storylines and even points when comics overlap politics. Below are a few choice pieces arranged via Eva Ink Artist Group (www.evainkartistgroup.com), featuring some of our talented guys. 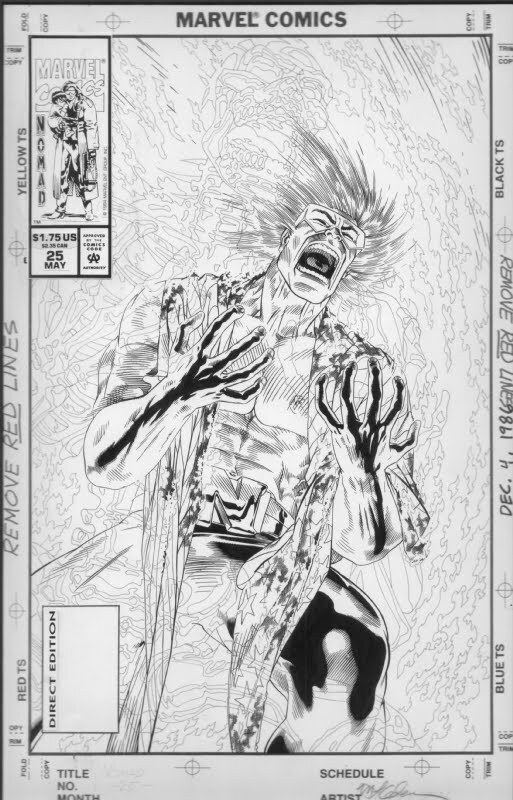 Here we feature pencils and inks by artists: Matt Triano, Wes Huffor and Rodney Ramos. Gosh, they make me wish I was still editing a humor anthology! Good job guys. And, I believe, if you want to order prints of any of these pieces, they can be found on their website as well. Everything IS Bigger in Texas! Wizard Austin Starts This Weekend-- Golden Art Class on Saturday! 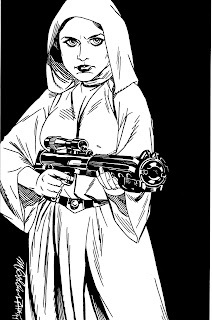 Austin-- Yeah, we already know everything is bigger in Texas, and this weekend's Wizard World Austin show is no exception, featuring some spectacular guests including the amazing talents of Michael Golden, Mark Texeira and Rodney Ramos. As an added bonus, in conjunction with Wizard, writer and artist Michael Golden will also be conducting his exclusive class "Storytelling with Michael Golden," on Saturday at 11. Don't miss this chance to hear how to incorporate the basics of a great story into your work, no matter if that work is in the fields of animation, comics or film. The basics are the name. 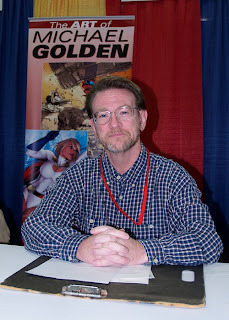 Mr. Golden is renowned for his storytelling, and is the co-creator of Rogue, Bucky O'Hare, Spartan X and much more, as well as serving as an editor at DC Comics and Senior Art Director at Marvel Comics. You've got questions about stories? Ask him here. Fine Art Illustrator Mark Texeira will also be appearing at Wizard Austin, for his first time. Bringing with him a selection of prints, books and original art. 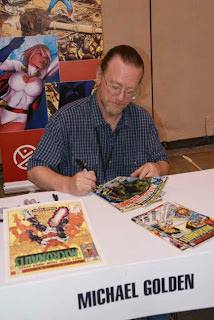 Mark will also being sketching at the convention, as well as signing his comics. Be sure to ask about his watercolor originals a well. Known for his stunning work on Ghost Rider, MoonKnight, Black Panther, Wolverine and much more, don't' miss this opportunity to meet Mark in person. Artist and inker Rodney Ramos has recently been added to the convention! 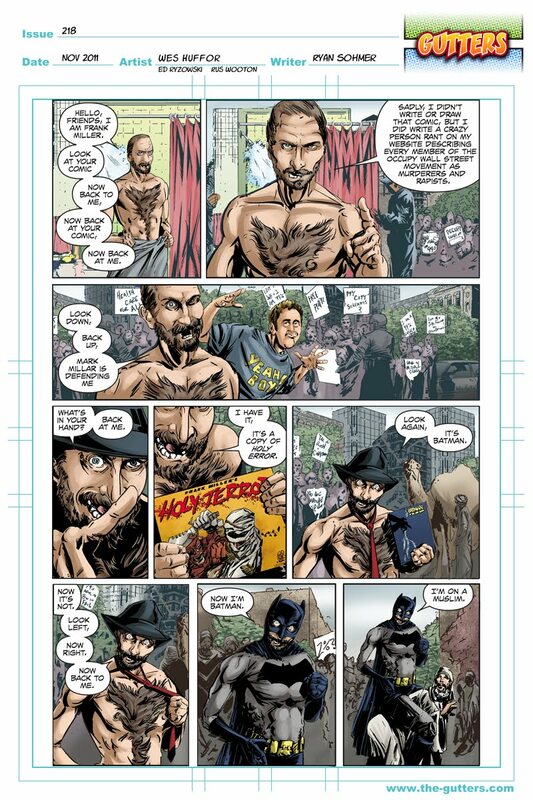 Rodney has been a professional comic book artist for over 15 years. He has Penciled and inked work for Marvel , DC Comics, Marvel UK, Valiant , Acclaim and various other companies. 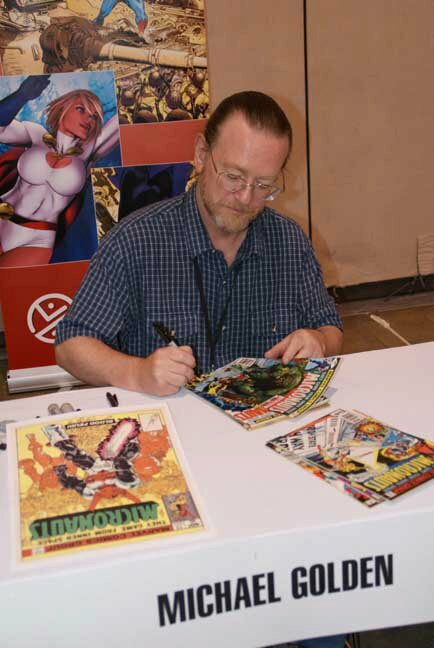 He has worked on such titles as "Batman," "Green Lantern," "Wonder Woman, "52 , "Countdown," "X-men," "Spiderman," "Ironman" and the Critically acclaimed "Transmetropolitan." Rodney will have many originals for sale at the show, and will also be signing and doing commissions. 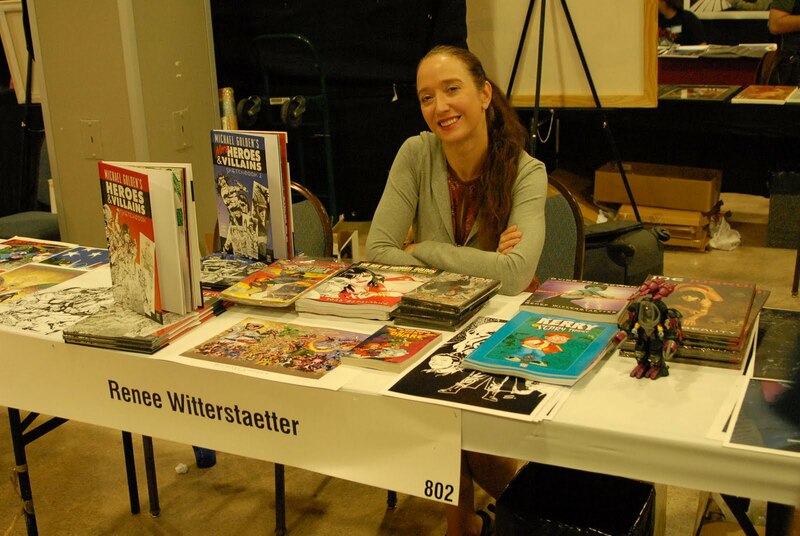 Along with these talented artists, writer Renee Witterstaetter of Eva Ink Artist Group will have copies of her newest books "Nick Cardy: The Artist at War," "Kerry and the Scary Things," "Tex: The Art of Mark Texeira," and "Joe Jusko: Savage Beauty," as well as the comic book series she co-created with Michael Golden, "Spartan X," available for signing. 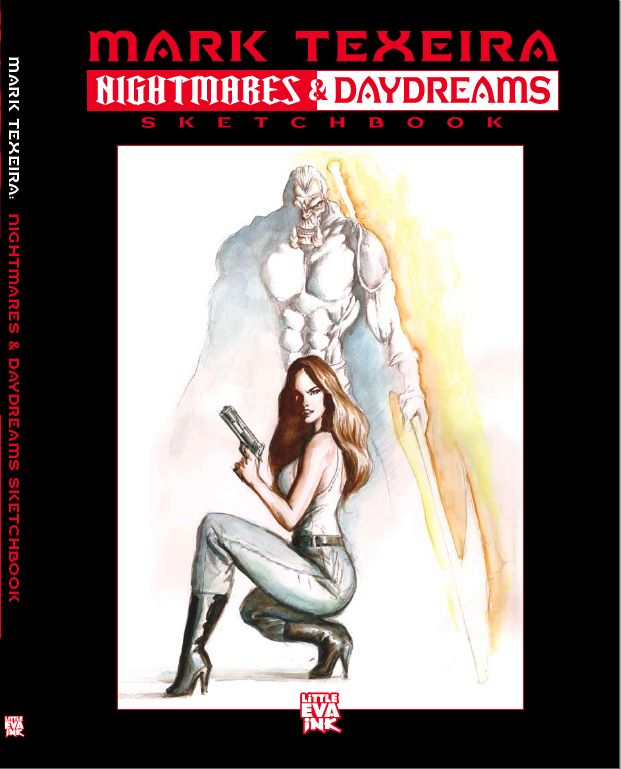 With other guests such as Keith Wilson, Kerry Gammill,Arthur Suydam, Greg Horn, Tommy Castillo, Wes Huffor, George Perez…. at the convention, it hardly seems like three days is BIG enough, Texas or not! So don't miss a minute!